Volkswagen's new premium sedan, based on its 2015 Sport Coupe Concept GTE, will slot above the Passat in the brand’s global lineup. 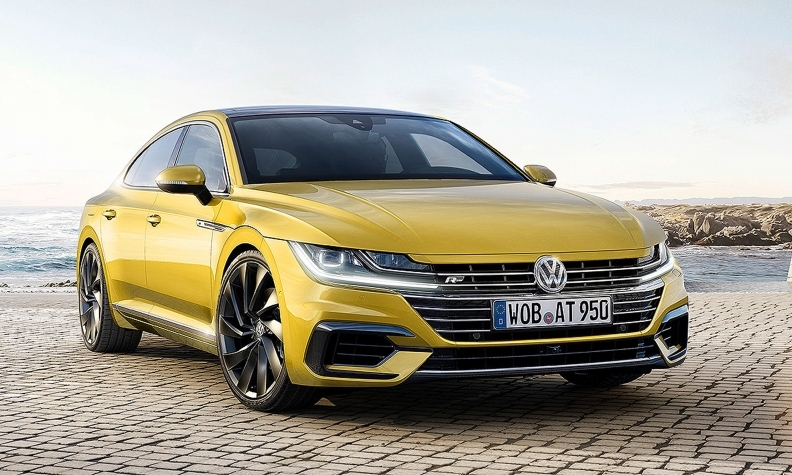 The VW Arteon Gran Turismo will go on sale in mid-June in Germany, but it won’t make it to the Canadian and U.S. markets until next year as a 2019 model, a VW spokesman said. Pricing has not been announced. The production car will debut this week at the Geneva auto show. The Arteon, built on VW’s MQB architecture, replaces the CC model in the brand’s lineup. With a low, broad front fascia and fastback tail, the Arteon is designed to give the brand’s top sedan a more muscular appearance compared with its predecessor. When it arrives in Canadian and U.S. dealerships, the front-wheel-drive Arteon will be equipped with one of three powertrains: a 1.5-litre turbocharged Evo inline-four mated to either a six-speed manual or seven-speed dual-clutch automatic producing 148 hp; a 2.0-litre inline-four mated to the seven-speed dual-clutch automatic producing 188 hp; or a top trim 2.0-litre inline-four all-wheel-drive version producing 276 hp. 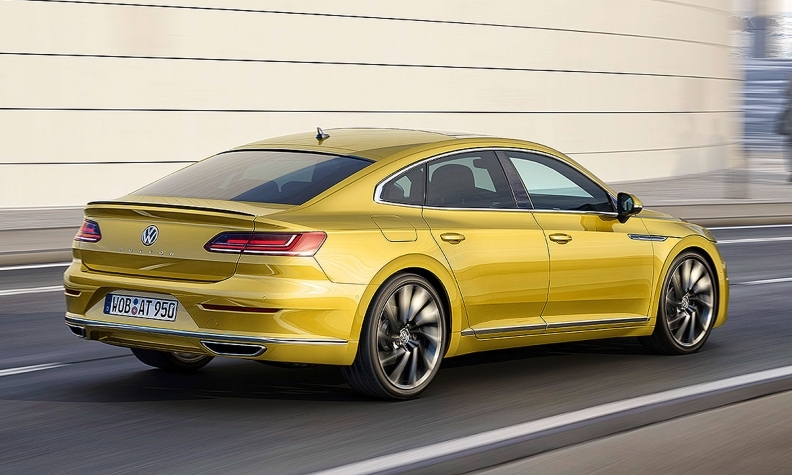 VW will offer a turbo-diesel-powered Arteon lineup in Europe. EPA fuel economy ratings are not yet available. The Arteon’s interior is dominated by a customizable instrument cluster, a head-up display and a new infotainment system in the center stack with a 9.2-inch screen and gesture control. For increased safety, the Arteon will feature VW’s latest generation of adaptive cruise control, which will take speed limits and route information into account and adjust speed accordingly. A dynamic cornering light system uses predictive beam control to recognize when a bend is approaching and light the corner before the turn begins. The Arteon also features an emergency assist system, which can slow the car and steer to the shoulder should the driver become incapacitated by illness. Along with the base model, the Arteon will come in a pair of themed trims: a luxury-oriented Elegance trim and a sporty R-Line trim.